A day in the life of the RESQ onsite team: Vet + Driver + Assistant + Volunteers! To become a part of the rescue network involved in traumas, it is compulsory to get vaccinated against Rabies, do a first aid course and 30 hours of work at the kennels and with the van. We are happy to help you through it..all you got to do is want to get out there to help! Below is Snappy getting his daily scheduled physiotherapy session with our Volunteer. 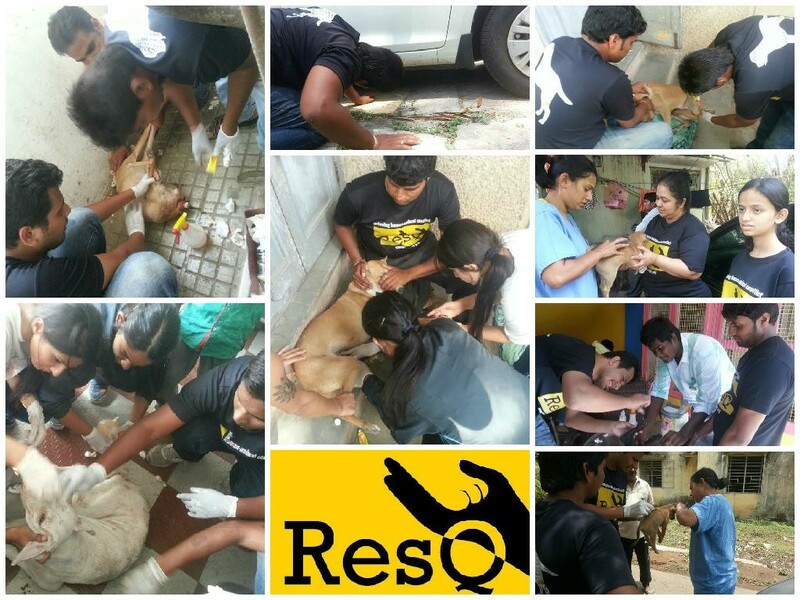 At the ResQ Kennels, volunteers get a chance to interact with our trauma cases first hand and make a difference in their treatment process. Kennel duties range from cleaning, wound dressing, physiotherapy, documentation & photography etc. to simple joyful tasks like walking, grooming and socializing the dogs. We have the capacity to accommodate a limited number of kennel volunteers at a time though, so book your slots in advance and come help us help them !